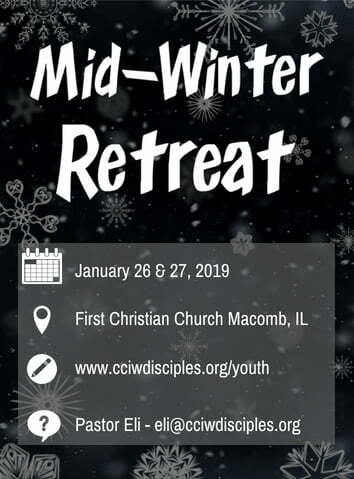 Register for the 2019 Midwinter Retreat! The CCIW Regional Youth Council plans, implements, evaluate and /or resource the total Regional Youth Ministry PROGRAM for the Christian Church (Disciples of Christ) in Illinois and Wisconsin. Youth programs will include: Summit, Regional Assembly, Midwinter Retreats, Mission Trips, and Lock-ins. Interested in joining or know someone who should? Fill out an application or nomination form.